This is the 45th anniversary of the Stonewall Uprising in NYC & this year’s theme is Reflections of Pride: Stonewall 45. 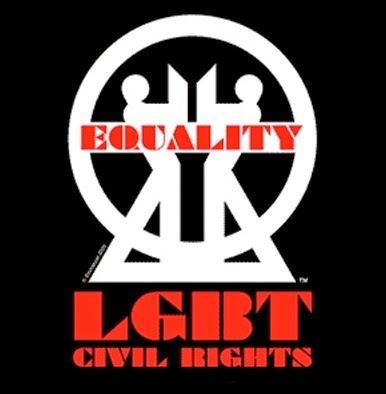 The first March was held in 1970 & since then has become an annual LGBT civil rights event. Over the years its purpose has broadened to include recognition of the fight against AIDS & to remember those we have lost to illness & violence. 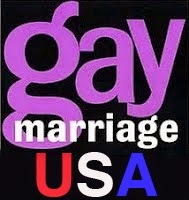 The March begins Sunday June 29th at 12:30P down 5th Avenue. This year’s Grand Marshals are Laverne Cox from ORANGE IS THE NEW BLACK & who recently graced the cover of TIME MAGAZINE, Rea Carey, Executive Director of the National Gay & Lesbian Task Force & Jonathan Groff who currently stars as Patrick on the hit HBO television series, LOOKING. PrideFest will follow now in its 20th year with its the annual LGBT street fair that combines vendors, entertainers & activities for a day of fun & celebration in the name of equality. 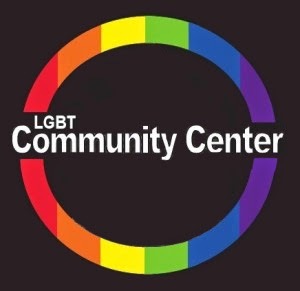 This is a fabulous place to stop to listen to a few tunes, grab a bite to eat or score some great Pride gear. Then there’s the Dance on the Pier that was nominated as "Circuit Party of the Year". 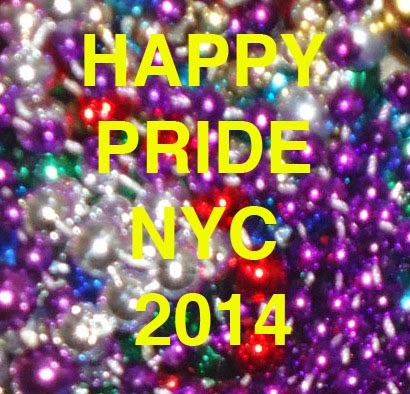 NYC Pride is planning to make 2014 amazing by booking incredible talent & provide support to even more community groups. HAPPY PRIDE!! 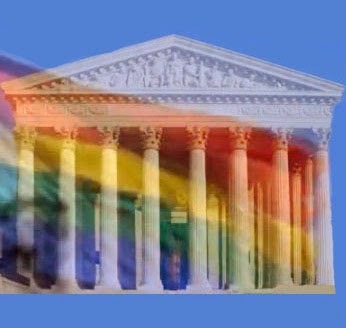 Next week on Wednesday July 2nd at 4P the fight for marriage equality in Florida will have its day in court with a hearing before Judge Sarah Zabel in the Eleventh Judicial Circuit Court in Miami. 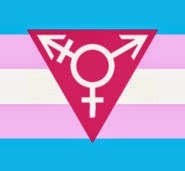 A rally takes place Saturday June 28th at noon at the Miami Beach LGBT Visitor Center at 1130 Washington Avenue, Miami Beach, outdoors behind the building. The program will begin at 12:40P. Speakers will include Equality Florida, SAVE, ACLU of Florida, National Center for Lesbian Rights (NCLR) & the LGBT Visitor Center all calling on the State of Florida to overturn the state’s ban on gay & lesbian marriage. Two plaintiff couples who are suing for the right to marry in Florida Juan del Hierro & Thomas Gantt & Karla Arguello & Cathy Pareto will also speak. With a whirlwind of favorable rulings throughout the country for marriage equality the rally will provide the community with an opportunity to hear about the status of some of the lawsuits presently in the Florida courts as well as how to get involved in the fight for equality. Nadine Smith Chief Executive Officer for Equality Florida Institute stated, “The majority of Floridians stand with us, as there is no reasonable argument for discrimination against our families. 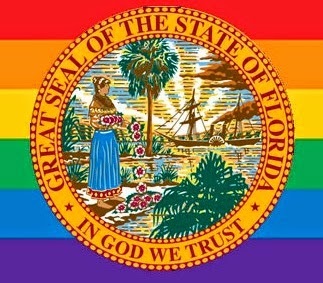 Throughout the nation, courts have ruled that these harmful laws are outdated & out of step, & we believe that equality & justice will prevail in Florida, as well.” More than 70 cases are currently pending in state & federal court in more than 30 states & U.S. territories & judges, appointed by Republicans & Democrats alike have issued 21 consecutive victories for marriage equality. 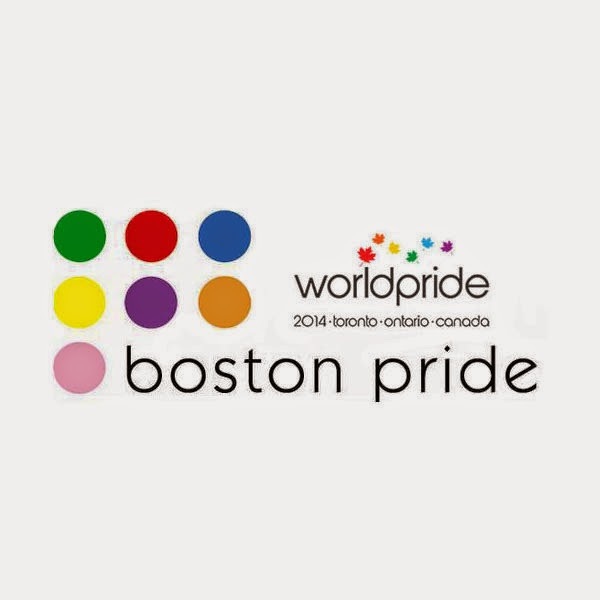 Boston Pride will be representing Boston & Massachusetts as a premier LGBT destination at the 2014 WorldPride celebration in Toronto this weekend. 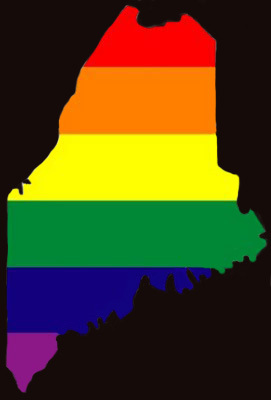 With marriage equality celebrating its 10th anniversary in Massachusetts the commonwealth definitely offers premiere LGBT destinations that are friendly, open, safe & accepting of all. Boston Pride’s attendance at WorldPride in Toronto is supported by grants from the Greater Boston Convention & Visitors Bureau (GBCVB) & the Mass. Office of Travel & Tourism (MOTT.) Patrick Moscaritolo, CEO, Greater Boston Convention & Visitors Bureau stated, "The Greater Boston Convention & Visitors Bureau is very pleased to be partnering with & financially supporting Boston Pride to promote Boston, Cambridge & the region at WorldPride in Toronto. This week-long celebration is a unique opportunity for the Boston & Massachusetts visitor industry to showcase to the world all that Boston offers. 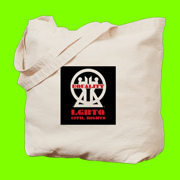 We are very grateful Boston Pride asked us to support their WorldPride initiative & to partner with them." Sylvain Bruni, President of Boston Pride added, “Boston Pride is truly grateful for the support from the GBCVB & the state as we visit to Toronto to celebrate at WorldPride & to spread the word about the wonderful travel opportunities in Greater Boston & Massachusetts for the LGBT community. After coming off a successful Pride Week with more than 30 events culminating with the annual Pride Parade & Festival that attracted almost 500,000 spectators, we want to make the world aware that Boston and Massachusetts are top destinations for LGBT visitors. We invite all of our friends from Massachusetts who will be in Toronto for WorldPride to march with us on Sunday, June 29." 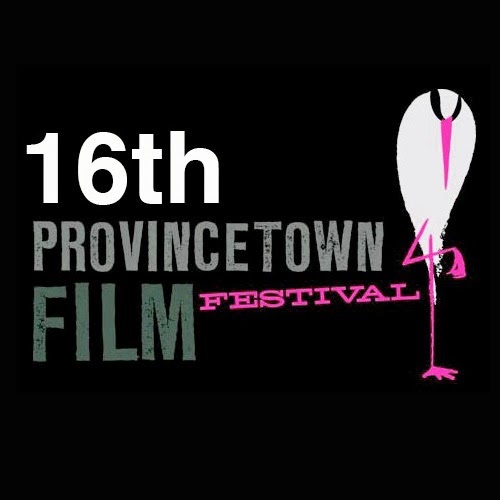 The Provincetown International Film Festival (PIFF) announced the award winners of this year’s 16th annual film fest. HBO Audience Award / Best Narrative Feature went to ONE CHANCE directed by David Frankel. HBO Audience Award / Best Documentary Feature went to ALIVE INSIDE directed by Michael Rossato-Bennet & HBO Audience Award / Best Short Film was KEHINDE WILEY: AN ECONOMY OF GRACE directed by Jeff Dupre. The John Schlesinger Award, presented to a first time documentary or narrative feature filmmaker went to KEEP ON KEEPIN’ ON directed by Alan Hicks. The Tangerine Entertainment Juice Award which is presented to a female filmmaker for her first or second narrative feature went to APPROPRIATE BEHAVIOR directed by Desiree Akhavan. Jury Award / Live Action Short Film was a tie between THE CLEAN UP directed by Jesse Allen & JUMP directed by Aimee-Lee Curran. Jury Award / Animated Short Film went to THE MISSING SCARF directed by Eoin Duff, Jury Award / New England Short Film went to WE COULD BE YOUR PARENTS directed by Charlie Anderson & Jury Award / Student Short Film went to JUMP directed by Aimee-Lee Curran. Honorable mentions in the Short Film Jury Awards category include DOG FOOD directed by Brian Crano, FAMILIES ARE FOREVER directed by Vivian Kleiman & THE LION’S MOUTH OPENS directed by Lucy Walker. The Short Film Jury consisted of musician Stephin Merritt, actress Kara Hayward & last year’s Shorts Audience Award winner Marnie Crawford Samuelson. PIFF also announced the 2015 event will be June 17-21. The Canadian city of Toronto is opening its arms to the lesbian, gay, bisexual, transsexual, transgender & allies communities today for WorldPride 2014. Between June 20th & 29th more than a million people from around the globe will gather downtown & in neighborhoods throughout the city to take part in what promises to be an unforgettable celebration of LGBTQ Pride. Kevin Beaulieu, Executive Director of Pride Toronto stated, “We always hear from our LGBTQ visitors how welcoming, surprising & exciting Toronto is, which makes it the ideal host for the first WorldPride to be held in North America. It’s a chance for people from every corner of the planet to celebrate what has been achieved & strengthen their resolve for the future – in a multicultural city that wears its commitment to equality, openness & diversity with pride every day.” Canada which is one of the first countries to legalize gay & lesbian marriages in modern times & Toronto which has one of the world’s largest Pride parades & renowned for its diversity is hosting this ten-day extravaganza turning the city’s streets into parades, parks in to parties & strangers into friends. Melissa Etheridge will kick-off & perform at WorldPride 2014 Toronto’s opening ceremonies in Nathan Philips Square on June 20th. Headliners in this jam-packed free entertainment program will also include artists Tegan & Sara, k.d. lang, Martha Wash, Carly Rae Jepsen & Chely Wright appearing on 10 open-air stages. WorldPride 2014 Events: Opening Ceremony on June 20th, WorldPride Gala & Awards on June 25th, WorldPride Human Rights Conference June 25th to 27th, Trans Pride on June 27th, Dyke March on June 28th & WorldPride Parade on June 29th. Kick off Pride Week in New York City at the 31st annual Lesbian, Gay, Bisexual & Transgender Community Center’s Garden Party: A Taste of Pride with tastings from dozens of New York City’s premier restaurants on June 23rd. Sip seasonal smart cocktails at an open bar while you bid on delicious silent auction items & watch the sun set over the Hudson River. Proceeds from Garden Party supports The Center’s life-changing programs & services 365 days a year. 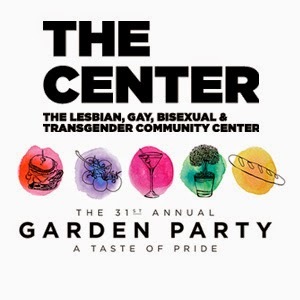 Glennda Testone, The Center’s Executive Director stated, “I hope you will join us & enjoy the gorgeous weather as we kick off Pride Week at Garden Party: A Taste of Pride, our longest-running, most anticipated event. Celebrate with us & 1500 of our closest friends on Monday June 23rd on Hudson River Park’s Pier 84 for a delicious evening of sampling scrumptious food & drinks from over 30 of New York City’s top restaurants. Your support helps The Center keep its doors open 365 days a year & offer vital programs & services to those in our community who need them most. So don’t wait, get your tickets today & join us for the most tempting, tastiest Pride kick-off event in NYC!” Tasting Partners include: ACME, Baked by Melissa, Café Champignon, Candied Anchor, ENLIGHTENED Ice Cream, Fonda, Godiva, Grandaisy Bakery, illy issimo, Li-Lac Chocolates, North Square Restaurant, Peanut Butter & Co., The Standard Grill, Sticky’s Finger Joint, Telepan Local, The Treats Truck, Yerba Buena & more! General admission is $85. The Boston Spirit's Summer Sunset Cruise is this Wednesday night June 18th. Now entering its ninth year Boston Spirit’s annual LGBT Summer Sunset Cruise is one of the largest & most popular events of the summer. Join more than 700 LGBT friends & allies to cruise around Boston Harbor dining on delicious food from Jasper White’s Summer Shack & dance to the amazing sounds of DJ Mocha. The weather is going to be fabulous so you have an excuse not to come! 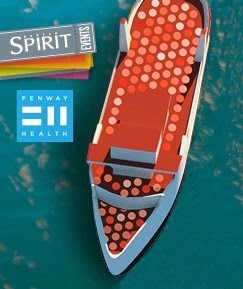 The two-hour cruise is $35 & every dollar goes directly to Fenway Health. Where else can you get a two-hour sunset cruise around Boston Harbor complete with delicious food from Summer Shack restaurants & great music courtesy of DJ Mocha for only $35 with 100% of the proceeds raised from this event going directly to benefit Fenway Health? This is a great way to kick off the summer so don't miss out. Buy your tickets & gather tomorrow Wednesday June 18th at the World Trade Center pier aboard Bay State Cruise Company’s Provincetown II at 6P on Seaport Boulevard. The cruise departs at 6:30P & returns at 8:30P. This cruise has sold out for the last two years, so don't hesitate! There will be a cash bar, food & fun! 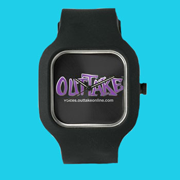 Please arrive no later than 6P to allow plenty of time for boarding before the 6:30P departure time. New York Women In Film & Television (NYWIFT) presents their annual Designing Women Honoring Costume, Makeup & Hair Designers on Wednesday June 18th. This year they're honoring Costume Designer Renee Ehrlich Kalfus (ANNIE, FRIENDS WITH BENEFITS, CHOCOLAT), Makeup Artist Evelyne Noraz (AMERICA HUSTLE, PERKS OF BEING A WALLFLOWER, RACHEL GETTING MARRIED), Hair Stylist Kerrie Smith (NOW YOU SEE ME, BEHIND THE CANDELABRA, RESCUE ME) & presenting the VARIETY Ensemble Award to the costume, makeup & hair design team of THE ANGRIEST MAN IN BROOKLYN. Presenters will be actors Jessica Alba, Rose Byrne & Denis Leary. 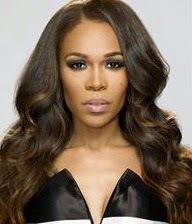 Singer Michelle Williams will emcee the event. This is the most glamorous NYWIFT event of the year. Designing Women 2014 honors the brilliant costume designers, makeup artists & hairstylists who make movies & television come alive! 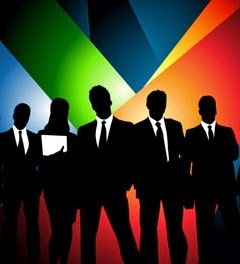 The event takes place on Wednesday June 18th at 7P with a reception following the award presentation. The Designing Women 2014 Awards takes place at The McGraw Hill Building 1221 Avenue of the Americas in New York City. (Enter on 49th Street) The tickets are $75 for NYWIFT members & Local 798, 829 & 764 members & $150 for Nonmembers. NYWIFT programs, screenings & events are supported in part by grants from New York City Department of Cultural Affairs in partnership with the City Council & New York State Council on the Arts with the support of Governor Andrew Cuomo & the New York State Legislature. Boston Pride second annual “Pride Night @ Fenway Park” is a fabulous Pride Week event. We had a blast last year joining our LGBT community at Fenway Park. This year the Boston Red Sox will play against the Cleveland Indians at Fenway Park this Thursday June 12th at 7:10P. 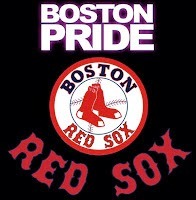 Sylvain Bruni, President of Boston Pride stated, "In 2013, Boston Pride made history by organizing the first official LGBT event with an MLB team, our beloved Boston Red Sox. Jason Collins threw the first pitch at the game, which was attended by hundreds of LGBT community members, including many families. We are very proud that the Red Sox are welcoming us back & we're expecting even more people to attend. So get your tickets now before they run out!!" 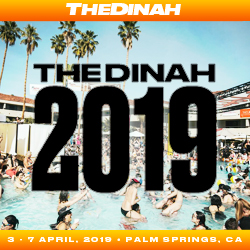 Tickets are still available starting at $28. 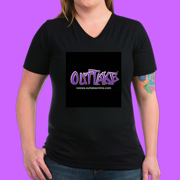 We already have ours & at that price you know they'll sell OUT. The Red Sox will also donate a percentage of tickets sales for Pride Night at Fenway Park to benefit Boston Pride, a nonprofit, 501© 3 corporation. So this Thursday June 12th, come out, show your Pride & enjoy a night at the ballpark! See You There! 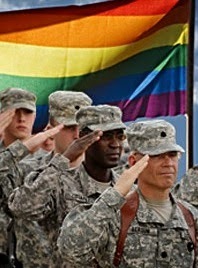 Boston Pride takes place now thru June 15th. Gay & lesbian couples continue to marry in Wisconsin after U.S. District Judge Barbara Crabb ruled on Friday that the state's gay marriage ban was unconstitutional. Since then hundreds of gay & lesbian couples have joyfully married in that state but Wisconsin Attorney General J.B. Van Hollen is attempting to appeal the federal court decision. Van Hollen has also filed a petition with the 7th U.S. Circuit Court of Appeals in Chicago asking it for a stay. Congressman Mark Pocan (WI-02), Co-chair of the LGBT Equality Caucus stated, “For the first time, LGBT couples received the legal recognition & benefits of marriage from our state. 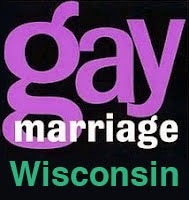 The rights of all LGBT individuals across Wisconsin were upheld by a federal court on Friday & yet today Attorney General Van Hollen is asking a federal appeals court to stop county clerks from issuing marriage licenses. The Attorney General’s decision to appeal the ruling that struck down Wisconsin’s ban on marriage equality is a regressive & blatantly political attempt to revive a hateful & discriminatory law which violates the ideals of liberty & equality in our Constitution. Society has changed, barriers to equality continue to be broken down; it's too bad our Attorney General is still living in a more hateful day." 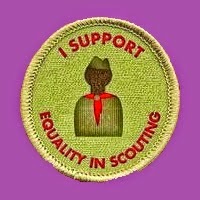 Attorney General Van Hollen should watch this historic gay marriage short & perhaps learn something.